The good news is that EPA’s Energy Star Portfolio Manager is getting a much needed data update. The bad news is that it may cause some Energy Star scores to go down. As you probably know, Energy Star Portfolio Manager (ESPM) is a well-known and widely used program for comparing energy use among existing buildings. Building owners and managers use ESPM to see how well their building performs with regards to energy use. The ESPM rates the building on a 1-100 scale against buildings of similar size and use. It also takes into consideration climatization so that buildings in different climate zones can be compared with each other. What many people don’t realize is that Energy Star scores (ratings) are based on static data, not live, or real-time, data. In other words, there is an existing set of data against which your building will be measured. That data is from 2003. The EPA has embarked on the Herculean task of updating the data using numbers from the CBECS 2012 (Commercial Building Energy Consumption Survey). Again we’re facing a good news/bad news scenario. According to the newer data, which is based on a larger sample size than the previous data, buildings in 2012 were decidedly more energy efficient than those in 2003. And that’s good news! What can you do to ensure you maintain a competitive Energy Star rating? Start with an Energy Audit. It may be time for some energy upgrades, and an ASHRAE Energy Analysis conducted by a qualified professional is your best roadmap. An ASHRAE Energy Audit is definitely required if you want to apply for PACE funding to complete the ECMs you’ll need for your building to be Energy Star certified. See What’s Preventing You from Having an Energy Audit? Even if your building Energy Star rating score does go down, the EPA has said they will not rescind any existing Energy Star certifications. If you have been considering Energy Star Certification, do it now. 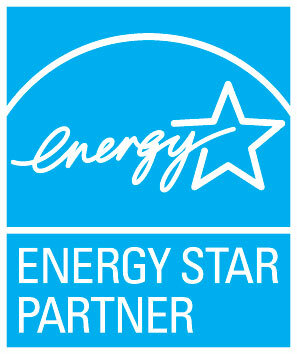 Newman Consulting Group is an Energy Star Partner, so if you have questions about becoming certified, please contact us.